Kevlar® string knit gloves and sleeves are used for general purpose work applications to provide cut and abrasion resistance, using high performance yarns, to further protect the hands when working with sharp objects. 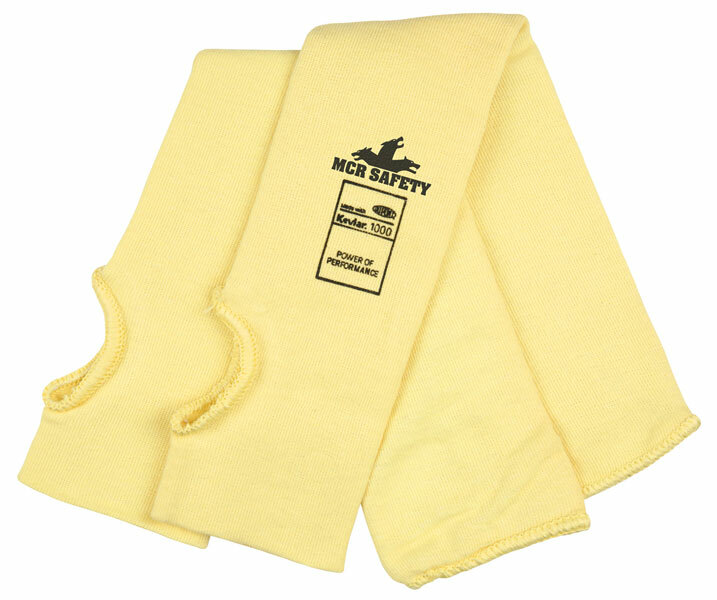 The 9378KF 18” sleeve features a regular weight DuPont™ Kevlar®/synthetic knit material. The 9378KFT additionally features a thumb slot.